Posted in: Computers, Games, Helpful Hints, Opinion. Now that I have a new 2K Monitor, it’s time to upgrade my 3gen old graphics card to the newest one out there. My new ASUS PB258Q 25″ 2560×1440 monitor doesn’t run all the time at 60hz on my current GTX 760 graphics card. So after 3 generations it’s time to upgrade to the brand spanking new GTX 1060 Founders edition. In the past I have gotten ASUS graphics cards and they have always looked very nice. But the non-founders edition cards, while $50 cheaper, are all pretty dorky looking. There was a glitch though while I was trying to order the Founder’s card from Nvidia, which is the only place you will ever be able to get the Founder’s Editions. The Firefox browser did not work. The Buy Now buttons were all dead. I eventually fired up the EDGE browser on my Windows 10 system and that worked just fine. 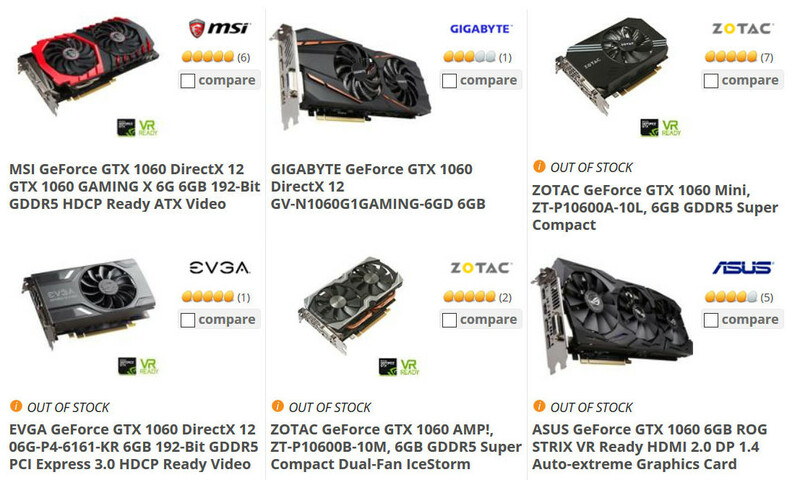 For several days I thought it was Nvidia’s problem, either the site was broken or they were out of stock. But they are in stock, as of 25 July, and all is well. It’s on it’s way with free shipping.